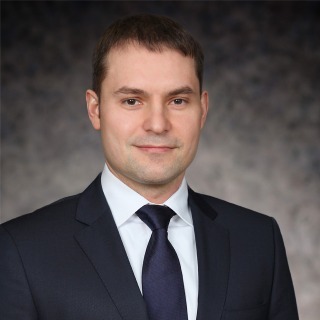 Vitaly Morozov is a member of the Arbitration practice group at Hughes Hubbard. His practice focuses on investment treaty arbitration, international public law, complex cross-border litigation and anti-corruption matters. Vitaly has represented clients in numerous investor-State disputes under bilateral investment treaties and the Energy Charter Treaty in arbitrations pursuant to the ICSID, SCC and UNCITRAL rules, as well as high-stakes multi-jurisdictional disputes involving parties from Russia, Eastern Europe and Central Asia in matters relating to a range of industries, including oil and gas, energy, mining, air and space, real estate and banking. Counsel for PJSC CB PrivatBank in an investment dispute with the Russian Federation pending before the Permanent Court of Arbitration in the Hague arising from Russia’s breaches of international law following the unlawful annexation of Crimea. Counsel for PJSC Ukrnafta and other Ukrainian claimants in two parallel arbitrations against the Russian Federation seated in Switzerland arising from Russia’s breaches of international law following the unlawful annexation of Crimea. Representation of Ukrainian real estate investors in the proceedings against the Russian Federation arising out of the measures carried out by Russia after the unlawful annexation of Crimea. Representation of Ukrainian investors in the aviation sector in UNCITRAL arbitration proceedings against the Russian Federation arising out of the Russian Federation’s breaches of international law following the unlawful annexation of Crimea. Representation of Turkish national petroleum company in arbitration proceedings against the Republic of Kazakhstan under the ICSID Convention. Representation of a leading manufacturer of spacecraft and space station components in dispute concerning financing for an international joint venture in commercial satellite industry before the U.S. Federal Court. Representation of minority shareholders in Yukos Oil Company in international arbitrations against the Russian Federation before the Arbitration Institute of the Stockholm Chamber of Commerce. Litigation in the U.S. District Courts in a case involving false advertising and use of trademark. Anti-corruption compliance and internal investigations under the Foreign Corrupt Practices Act (FCPA).